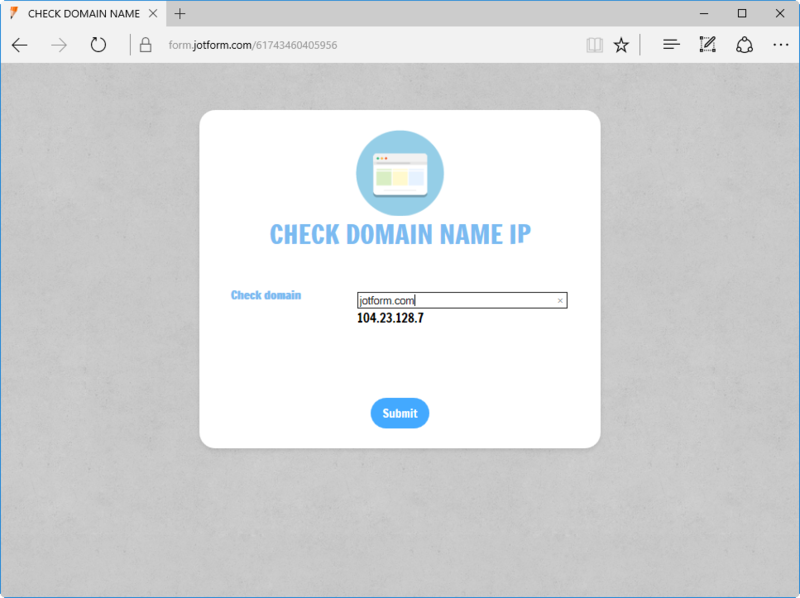 Are you looking to add a functionality in your form where your user input any domain name and they see corresponding IP address immediately? JotForm presents you an exciting widget i.e. 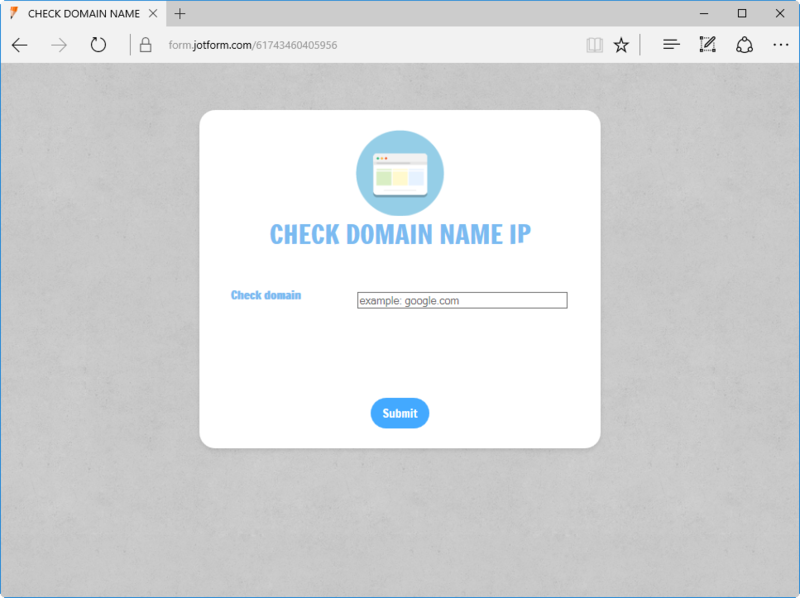 "Check Domain Name IP Widget". You just need search and add the widget in your form. 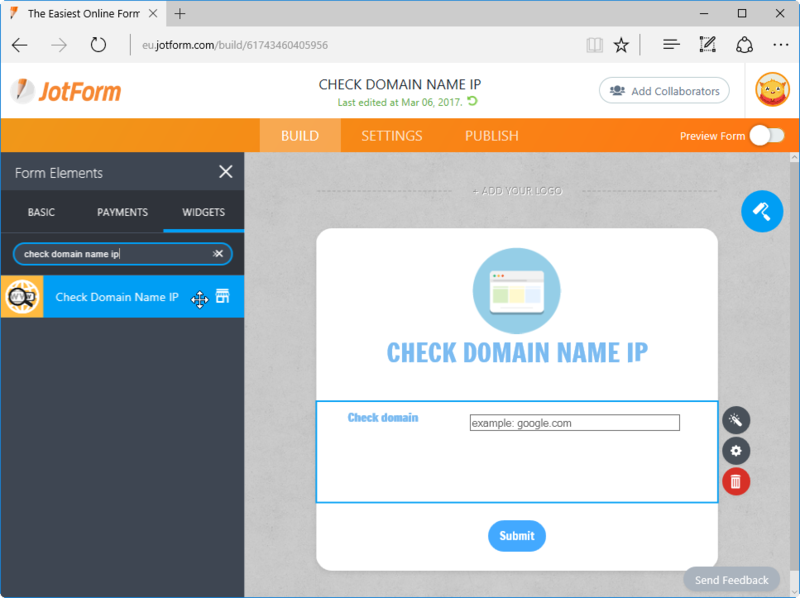 Your users will now be able to check the IP address of any domain name in your form.